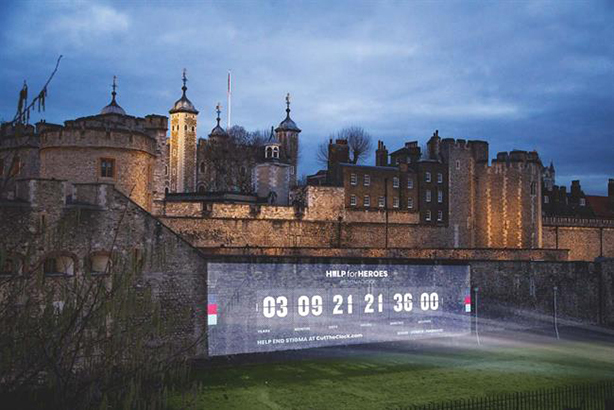 Help for Heroes illuminated the Tower of London with a "stigma clock" on Blue Monday yesterday (22 January), to symbolise the time it takes veterans to seek help for psychological trauma. The clock was projected on to the Tower of London yesterday – known as Blue Monday because it is considered the most depressing day of the year – to show support for veterans who are suffering in silence. A livestream was hosted at CutTheClock.com for viewers to follow the clock's progress.